The friability of tablets test is a method to determine the physical strength of uncoated tablets. The method is described in the EP and USP. 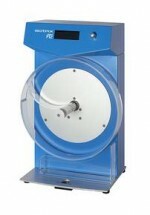 The Tablet Friability Tester consists of a drum and a motor.